This month, Arab Academy is featuring Anne-Marie Poulos from the United States. 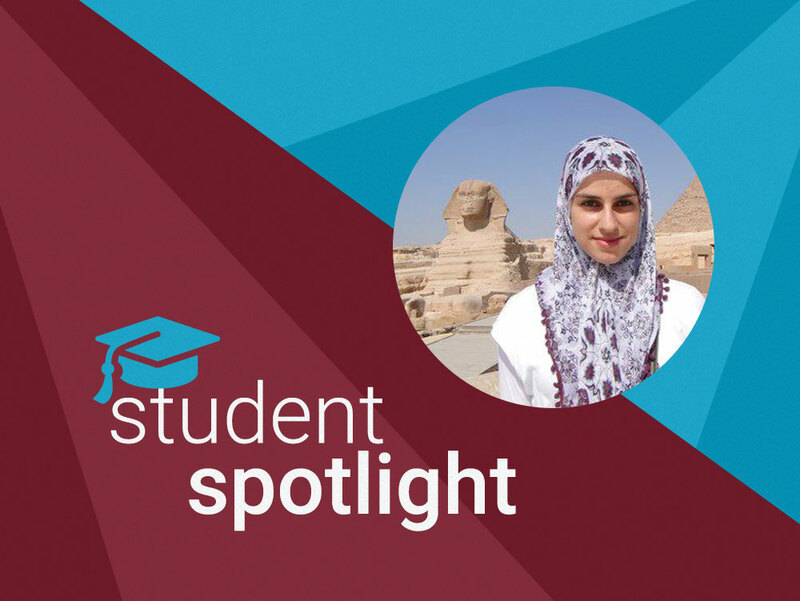 Read on to hear about Anne-Marie’s experience learning Arabic. Why did you choose to learn Arabic? I chose to learn Arabic for two main reasons; religion and culture. Once I began learning Arabic I soon discovered the diverse Arab world and all it’s enchantments from the music and foods to the warm hospitable nature that is characteristic of people in Arabic speaking countries. Why did you choose to learn at Arab Academy? I decided to learn from the Arab Academy in order to develop speaking proficiency. How has learning Arabic impacted your life? It has impacted both my career and my personal life. I became a proficient speaker and gained knowledge about Arab cultures. I am now a high school Arabic and Spanish teacher. In addition, Arabic has helped me to better understand my religion. Has Arab Academy changed or impacted your life in any way? If so, how? Because of the Arab Academy I can communicate in standard and colloquial Arabic which allows me to use the language in a variety of contexts. How Arab Academy is unique compared to other language centers/ online courses you have tried? 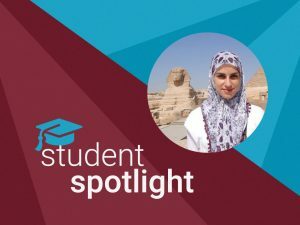 Arab Academy is unique since it is both an affordable and personalized learning experience. I like the flexible online learning platform and how easy it is to schedule meetings with instructors. I can also study both Modern Standard Arabic as well as Egyptian colloquial. What would you tell someone who is interested in learning Arabic, but hasn’t yet tried it out? Try Arab Academy, they will give you a free sample lesson! Also, it may seem overwhelming at first to learn a new alphabet. Do not get discouraged as it does get easier if you stick with it. Lastly, decide what your goals are for learning the language before you begin. Arabic does have many varieties. For example, if your goal is to analyze religious texts then you will want to learn Standard/Classical Arabic. However, if you need Arabic for travel, to enjoy Egyptian cinema, or just want to communicate easily with native speakers then I suggest you jump right in and learn colloquial Arabic!